Our class is called Emperors. 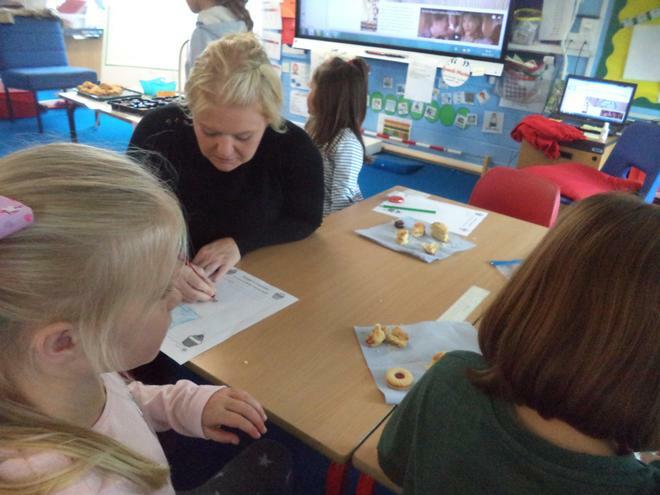 Emperors are taught by Miss Usher(class teacher) and supported by Mrs Harvey and Miss Robinson (teaching assistant). As the weather gets colder and wetter, please bring jogging bottoms and training shoes every Thursday as well as a plastic bag for muddy shoes. A big thank you from Miss Usher! Thank you for the beautiful cards with thoughtful words and very generous gifts. I will miss all of the children I have had the pleasure of teaching and the fantastic parents too. This week Emperors have used bar models to support their understanding of adding and subtracting. They have used this information to help them to solve missing number calculations! In literacy, they have planned their newspaper report and presented it as a news broadcast. They are ready to begin writing next week. This week we had a lot of fun celebrating World Book Week! 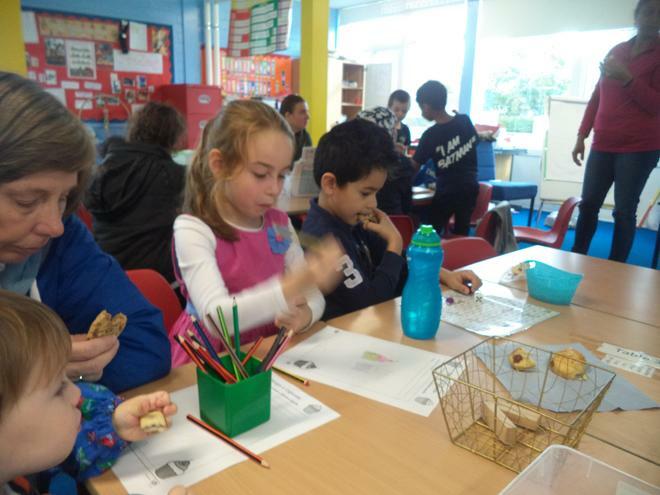 This week we made pancakes for Shrove Tuesday which took place over the holiday. This week Emperors have been learning about statistics. They have gathered and recorded data in a range of ways including tally charts and block graphs. This week Emperors have retold the story Black Dog through role play. 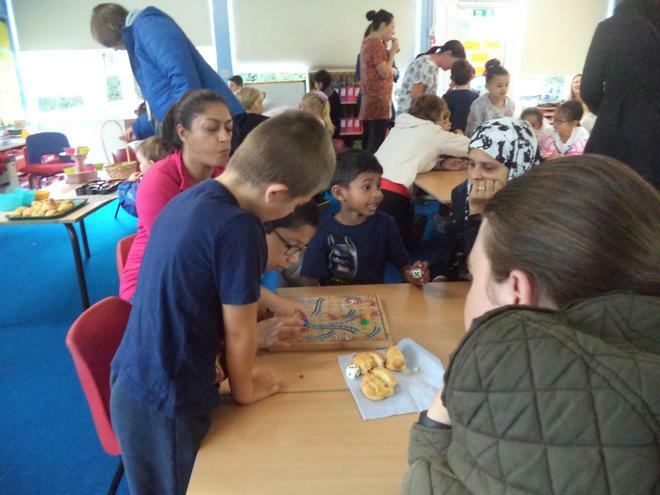 The children were excellent at working as a group and using different voices and actions. They also developed their peer evaluation skills by offering each group constructive and positive feedback. I hope you all enjoyed the class assembly. Emperors worked really hard to learn all their lines and say them clearly and they were very impressive on the day. This week in maths Emperors have been measuring length, height and capacity and have been comparing what they found out using greater than, less than and equal to symbols. In literacy Emperors have been matching adjectives to characters and have used a thesaurus to broaden their vocabulary. Within the topic Wonderful Weather, Emperors have planned and performed their own weather forecast! Emperors have enjoyed exploring weight this week. They have compared the weight of objects and compared objects to gram weights. Emperors have also recorded their knowledge using greater than, less than and equal to symbols. They have been practising for their class assembly! They have learnt their lines quickly and are trying hard to speak clearly and loudly. We look forward to seeing you on Tuesday. 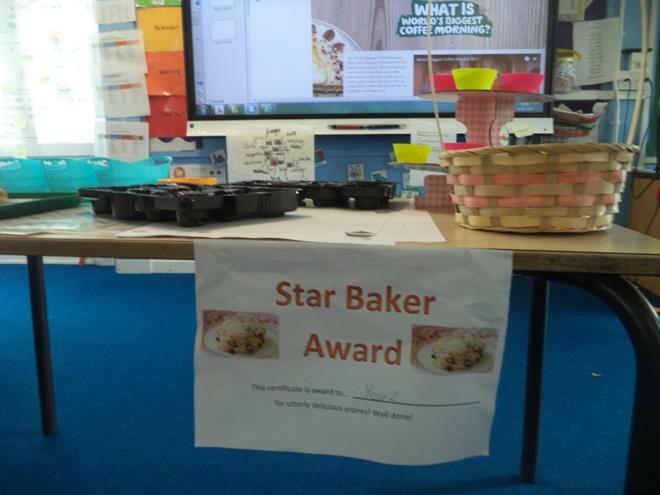 This week Emperors have shared their completed home learning projects. I have been very impressed with their creativity. Emperors had the opportunity to spend time in the snow. Thank you for sending in sensible clothing and footwear. We have finished the week with a fun trip to the panto! 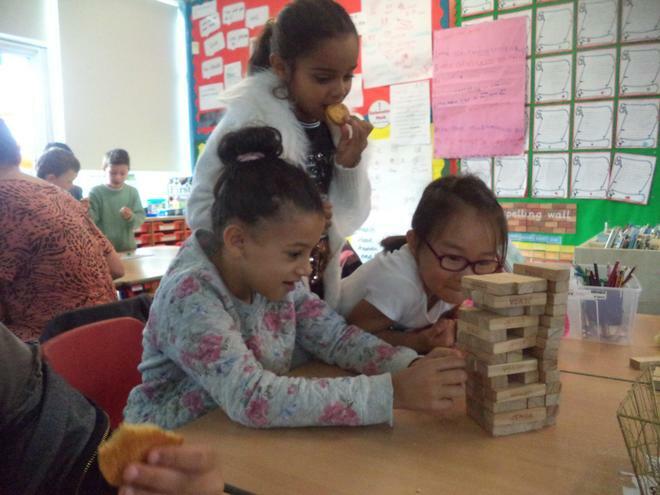 We had lots of fun and enjoyed eating our lunches in class. This week Emperors have enjoyed creating Christmas crafts in their art lessons. Their pine cone Christmas trees look excellent! Emperors have also been writing their own story based on an animation. After planning and writing it, they have independently edited their work with some fantastic results. This week we have been familiarising ourselves with test papers in preparation for SATs at the end of the year. We have explored how to answer test questions to help build their confidence. We have also started preparing for the Christmas Carol Concert and practised the songs we will be singing. This week Emperors have began planning their own traditional tale based on Jamil's Clever Cat. They have practised key skills that they will use within their writing including using adjectives, conjunctions and speech. In mathematics Emperors have explored money. They have looked the at value of a coin and different combinations of coins that can make the same total. Thank you for your attendance at the workshop today. I hope you learnt some strategies for supporting your children at home. This week we have also celebrated Anti-Bullying week. We have looked closely at what makes a good friend and how to be a good friend. We also know that at Margaret Wix School we are a 'telling' school therefore, will always tell an adult if we are, or see somebody who is being bullied. This week Emperors have retold the story of Jamil's Clever Cat. They have worked hard to sequence the story and to include interesting sentence starters, expanded noun phrases (adjectives) and speech. The African Tale- Mufaro's beautiful Daughters has also been introduced. In maths Emperors have been developing our subtraction skills using a range of strategies. This week Emperors have been reviewing their knowledge of the numbers 0-20. They have used a variety of resources to show doubles within 20 and explored the link to halving. We have also partitioned numbers and regrouped using numbers that we can add using our number knowledge (e.g. 5+ 5 = = double 5 = 5 x 2). In literacy we have began reading the Bengal traditional tale: Jamil's Clever Cat. We have looked closely at the beginning, middle and end of the story and retold through story maps and role play. This week we have had a lot of fun in Emperors Class sharing our topic homework. It has been fantastic to see all the great things that have been done! In literacy we there has been a focus on a new genre of writing: an explanation text. A toy has been selected and steps written about how it works. It includes: an introduction, steps for how it works and a conclusion. Well done to Emperors for taking part in this half terms Spelling Bee, we had lots of super spellers. Good work! Emperors have been counting in 2s, 5s and 10s this week. They have used their times tables knowledge to count on from a given number and they have been able to answer word problems and true or false questions e.g. I start on 20 and count up in 5s, I say 55. Is this true or false? Emperors have also written their planned stories of Whistleless. I have been impressed with their use of repetitive language and speech. This week Emperors Class have shown off their creative skills and made their very own peg doll. I was impressed with the interesting ways they used the materials given and soon we will evaluate them to think about what we did well and how we could improve. This week in literacy we have watched a fantastic animation called Whistleless and used it as a stimulus to plan our own story. It has been a lot of fun! In mathematics we have compared numbers and the greater than, less than and equal to symbols have been introduced. 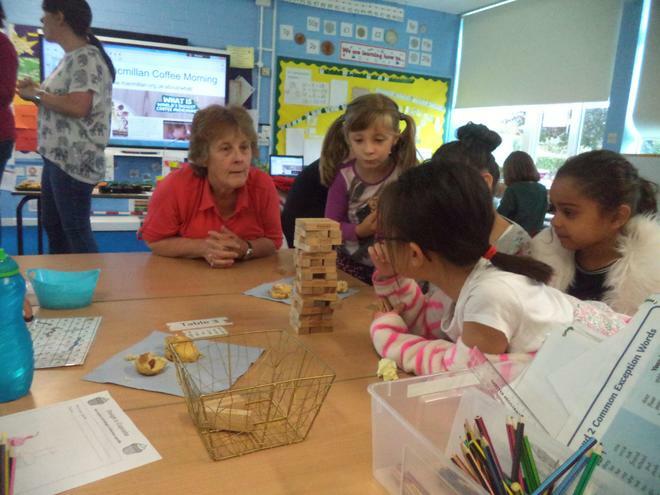 Emperors have really enjoyed participating in Macmillan Coffee Morning this week. 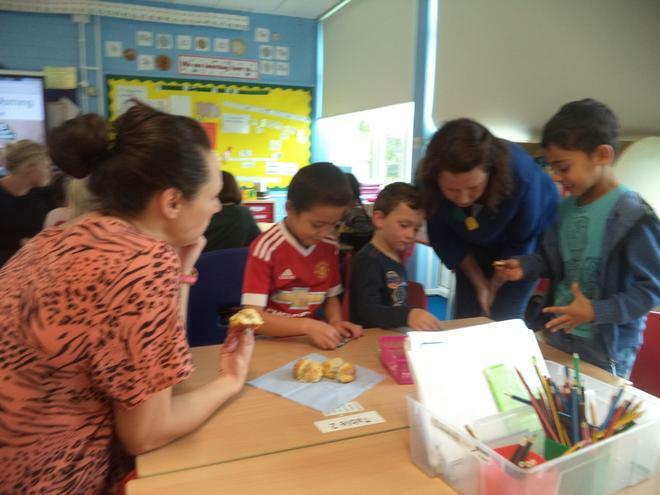 They worked very well together in the kitchen and some delicious scones were made. In literacy we have created a class story. We have based our story on the story: On the Way Home and written about a boy named Chris who bumped his head. Within our topic learning we have learnt how toys from the past were played with and we have ordered toys on a timeline from oldest to newest. This week we have explored place value. 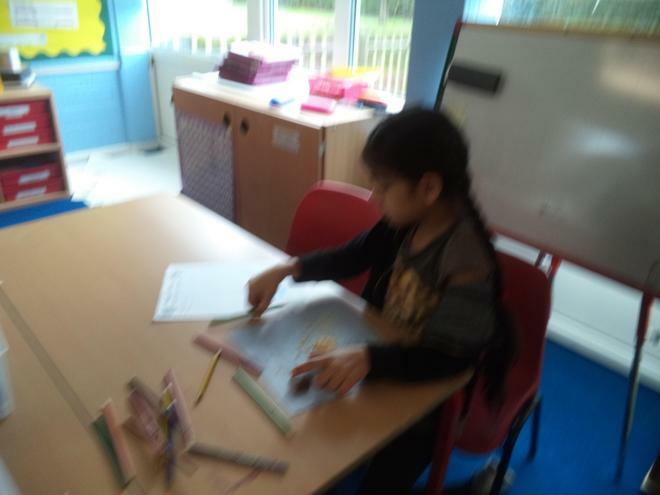 We have counted the lots of tens and ones in lots of different things such as sticks, crayons and bags of cookies and we have shown our understanding in part whole models. Can your child explain a part whole model to you? We have also carried out an experiment as part of our science lesson. We found out that the paper towels were the most absorbent paper in the classroom. This week we have read the story On the Way home. We have enjoyed the stories that the main character Claire tells to explain how she has her bad knee, and learnt the order that we meet the extraordinary characters in. Soon we will be using this story to help us in writing our own. In maths we have been exploring the lots of tens and ones in number. We have been locating numbers on a bead string and writing the numerals and words. Emperors have settled well into their new classroom. Within mathematics we have been exploring number. We have ordered numbers on a number line and found the middle and quartile points. In science we have found objects in the classroom and identified the material they are made from.